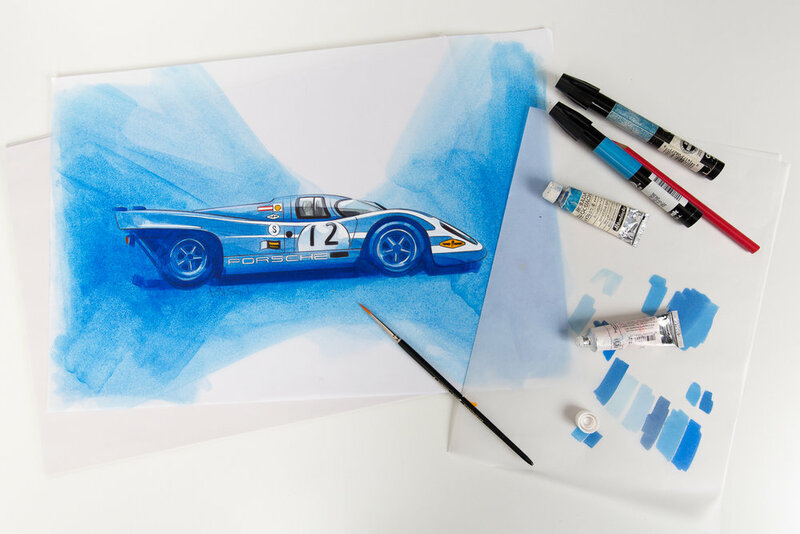 Porsche built its 917 sports car off the back of regulation changes and used this as an opportunity to enter the top level of Sportscar racing for the first time. It spent most of 1969 perfecting the car and by the 1970 season was able to dominate most circuits it raced at. 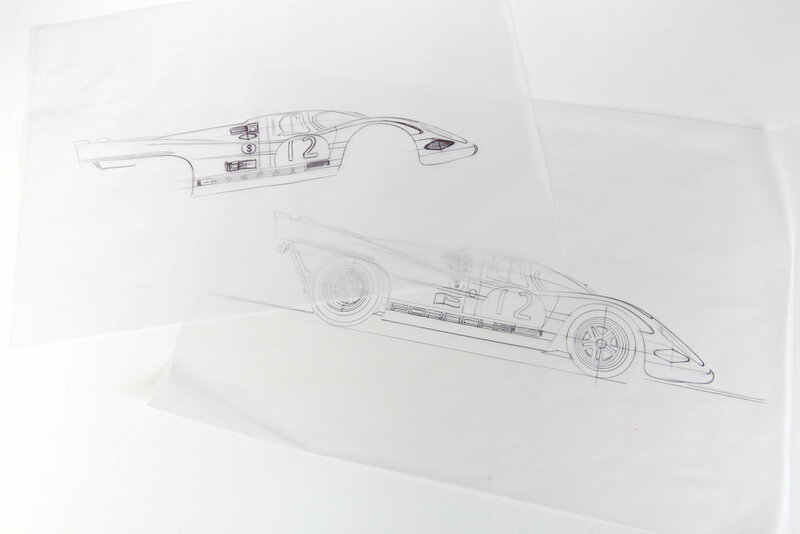 Porsche never entered its 917 as a factory entry, choosing to race through close partners instead. One of them was Porsche Salzburg, Porsche distributor in Austria and one of the prefered racing teams of the factory. The 917 entered by Team Salzburg gave Porsche its first overall 24 hours of Le Mans victory. 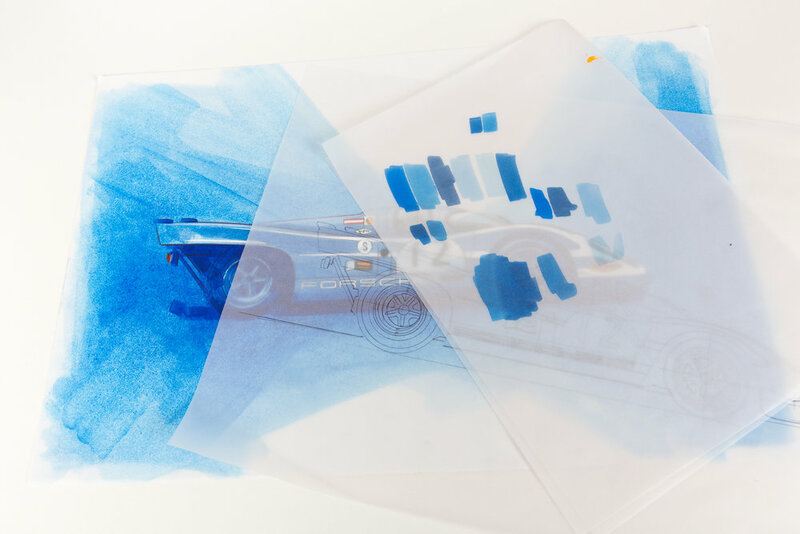 Team Salzburg participated in the World Sportscar Championship for long distance racing and this artwork depicts the lesser known Porsche 917k chassis 020 car as it was raced at the BOAC 1000km (it’s red and white brother being more famous thanks to it’s Le Mans win). The number 12 car piloted by Richard Attwood and Hans Herrmann came third at the rain-sodden 1000km of Brands Hatch race in 1970. 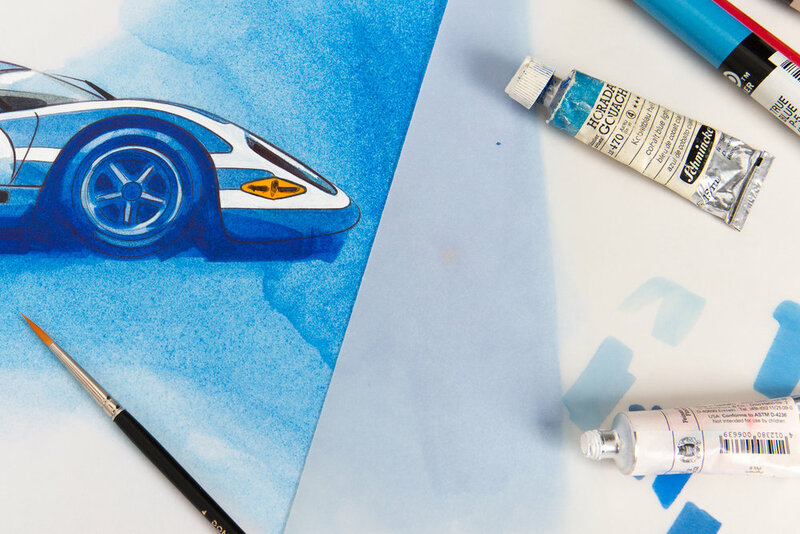 A selection of work-in-progress photos gives you an insight into how the artwork of this amazing car was created. 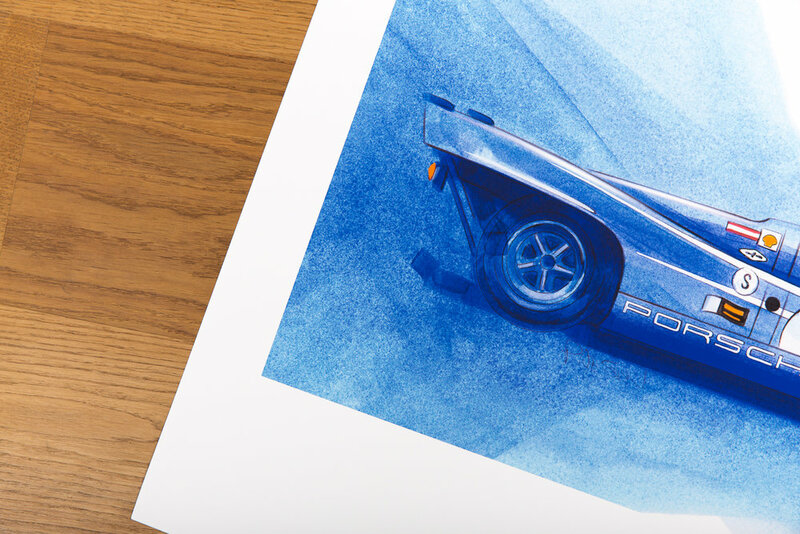 Prints can be bought in 3 sizes at my online shop. Custom sizes are available if you are looking for something in particular.